Neymar's father has wanted to ease PSG's supporters fears that his son could be tempted to leave the club this summer. 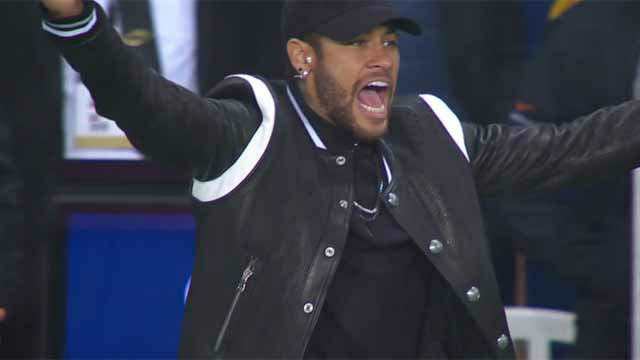 In an interview with RMC Sports, he insisted that Neymar will remain at PSG despite the offers from elsewhere which should be music to Nasser Al-Khelaifi's ears. "Neymar se queda en el PSG"
"He has a long-term contract with PSG. We're only in our second season here and that hasn't even finished yet. There's a signed contract and we haven't completed half of that yet. That's why people should be calm," on the rumours linking Neymar with a move to Real Madrid. "The rumours about him leaving have always existed. There can't be a player like Neymar without people and clubs wanting to sign him. There are teams interested in him but Neymar's wish is to stay. He expressed that same wish when he signed his contract with PSG two years ago. The supporters can be calm. Neymar doesn't want to leave PSG right now. He wants to stay here and help PSG win matches and titles," concluded his father.